Dan Abramov’s blog Overreacted is pure gold and contains a ton of information. 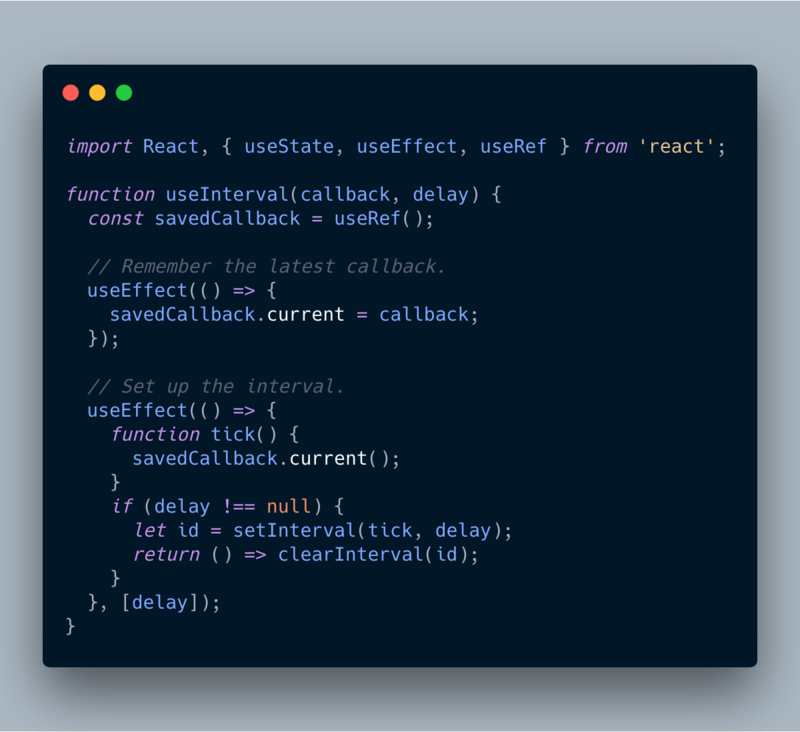 Take today’s post “Making setInterval Declarative with React Hooks” for example, in which he explains why setInterval and Hooks (which should be released in today’s planned React 16.8 release) don’t play that nice together out of the box. A possible fix is to use a functional updater function in setTime(), yet Dan’s solution is a useInterval hook, which in itself is amazing. // Remember the latest callback. // Set up the interval. Instead of writing code to set and clear the interval, I can declare an interval with a particular delay — and our useInterval Hook makes it happen.